ZenCart is great option to consider as your next shopping cart option. it is easy to use, the core system is of course free and you may find that the layouts are exactly what you're looking for. Lets take closer look at the platform that is ZenCart. If you are new to the worlds of e-commerce and drop shipping, you need to learn about Zen Cart and how it may be able to help you succeed in this business. Zen Cart is an open source project that is truly free to end users, which means that it could cost you absolutely nothing to implement. Zen Cart is an e-commerce solution that mostly consists of a shopping cart estimated to be in use by about 100,000 online stores. The history of Zen Cart dates back to 2003, when it became a fork of a very popular shopping cart solution for Web developers. This open source project, which is currently in version 1.5.5, enjoys considerable support, but it should not be considered a turnkey e-commerce solution. Although you do not need to have advanced coding skills to install Zen Cart, it would certainly help if you are familiar with PHP or MySQL because it must be configured by means of a bit of coding. Tech-savvy users who understand the fundamentals of programming will be able to grasp Zen Cart by following the free online tutorials and forums; nonetheless, the learning curve can be considerable for this shopping cart module. If you have your own physical server or pay for dedicated hosting, you can simply download and install Zen Cart without having to worry about out-of-pocket costs. The popularity of this shopping cart software, which is as powerful as most paid versions, has prompted many providers of Web hosting services to offer it as an e-commerce solution. The ideal scenario for most users would be to choose a hosting platform that offers Zen Cart as a click-to-install feature similar to WordPress. The most reputable Web hosting providers will not only offer Zen Cart but also technical support and updates. This is very important since you really want to install version 1.5.5, which includes a security patch for a major vulnerability detected in March 2016. Once Zen Cart is installed, users get to see the default template, which has out-of-the-box functionality but is not the most attractive. The administration and back-end interface is split into less than a dozen sections that allow store managers to configure many settings such as discounts, options, taxes, and others. Since this is an open source e-commerce solution, there is no limit to the customization options as long as you are willing to learn some PHP. The online community offers storefront templates and tips to get you started, but the rest is up to you. One option would be to hire a developer to handle the most challenging aspects of skinning and modifying the cart while you learn the administrative options on the back-end. As previously mentioned, Zen Cart installation works better when your Web host offers a one-click option. The daily management of adding products, changing prices, setting taxes, and updating shipping options does not require knowledge of PHP coding. Zen Cart has all the standard e-commerce options you need to manage an online store as a home business or as a full-time endeavor. Linked products, special offers, discounts for quantity purchases, terms of service, and HTML email forms are some of the options you can easily manage without coding. With regard to payment options, Zen Cart supports international credit and debit cards as well as PayPal. 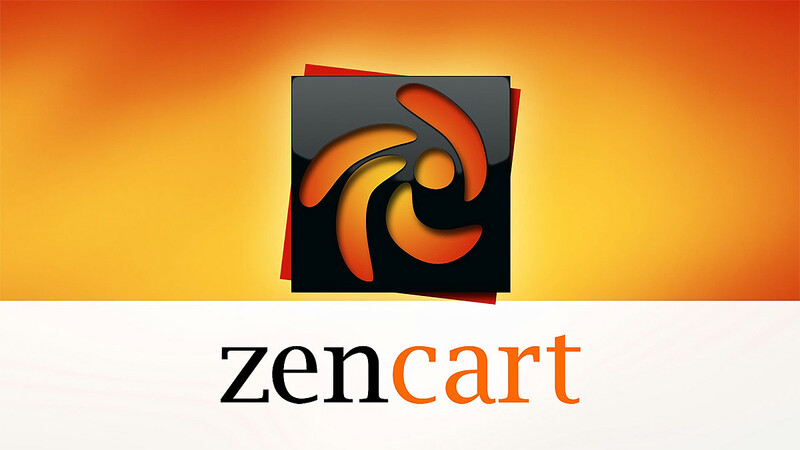 It is important to note that Zen Cart only provides the functional software portion of an internet shopping cart. If your business requires PCI compliance and SSL certificates, you will need to acquire those from the Web host or from a commercial package that supports Zen Cart. You can find customer service and technical support for Zen Cart on the various websites managed by the community. The online forums feature many handy guides and tutorials for you to learn; the YouTube lessons are usually the most comprehensive and detailed. There is even a manual with more than 350 pages that can be downloaded as an eBook for those who are serious about learning. One of the biggest challenges that you may run into with Zen Cart is that SEO and mobile capabilities are lagging in comparison to other solutions. The Zen Cart community is working on SEO modules and add-on features to improve user experience for mobile devices, but the choices thus far are limited. In the end, Zen Cart may not the best shopping cart package for new e-commerce enthusiasts who are not familiar with PHP coding; however, it is robust and highly respected among those who are willing to learn this truly free and powerful application.